Illinois beat Western Illinois 34-14 Saturday, but the victory came with a price. Illinois quarterback AJ Bush injured his left leg in the first quarter and didn't return. M.J. Rivers finished the game, providing a needed spark for an Illinois offense that's had trouble getting started early in both games this season. Bush's injury didn't appear serious. 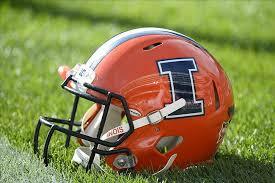 Rivers was 9 of 16 for 105 yards and two touchdowns for Illinois (2-0). Mike Epstein rushed for 105 yards on eight carries. Reggie Corbin ran for 63 yards and one touchdown on 15 carries. Sean McGuire went 24 for 36 for 276 yards, two touchdowns and two interceptions for Western Illinois (0-2). Tony Tate rushed for 41 yards to lead the Leathernecks. Illinois also lost wide receiver Edwin Carter, injured while making his second touchdown catch of the game. Carter was seeing more playing time Saturday because of the season-ending injury to star receiver Mike Dudek last week. McGuire was sharp early in the game, but the Illini adjusted at halftime and McGuire was forced to scramble often to avoid pressure. One of his two interceptions came as he was chased from the pocket. Michael Marchese intercepted for Illinois and returned it 41 yards to the 3. Reggie Corbin ran it in on the next play for Illinois.